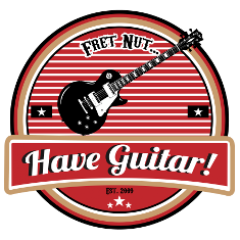 pedal frenzy Archives - Fret nut... Have Guitar! It’s time to take a closer look at the Fulltone OCD, is there any guitarist that haven’t heard about this pedal? It should “replicates the dynamics and harmonics of a fully-wound tube amplifier with its typical output stage distortion” and I’ve seen it described both as an overdrive and a distortion effect. I guess it has the characteristics of both. I guess the Fulltone OCD doesn’t need any closer introduction, it’s a classic pedal and for more info check out the link to Fulltone’s webpage provided below. I’ll add a link to a fantastic video from ToneJunkie that compares all the different versions of the OCD, go see it – it’s really worth the time watching it. Hope you liked this video – feel free to give me some support by subscribing! And you know what comes next… that’s right, a Fat Big Thanks to all you who do sub!! The premiere will take place on Have Guitar’s Youtube channel the 15:th of November, 06:00 PM (1800 in 24h-mode) US Central Time. So this is an “early warning” and I have no idea how this will work out… but I gotta try it right? The Pedal Frenzy video will be live at the above given time/date on this URL. I suppose that won’t work until a couple of minutes before the video starts. HG-6 Distortion Pedal from NUX (stomp box demo) by Have Guitar! It’s Saturday nite special bonus bonanza Pedal Frenzy from Have Guitar! Looking for a cheap distortion stomp box? Well, maybe you should just turn your head in another direction then. No, I got some descent sounds out from this NUX HG-6 distortion pedal but it sure did not go well with the Kemper. And the HG-6 is cheap, I got it for around 20 Euros (24.6 USD) from China and be sure not to pay a penny more than that! It has some features that sounds promising like true bybass, analogue circuits and Tube simulation… and as said, it is not completely useless unless you have a Kemper – in that case I would rather recommend you to use the Kempers internal effects. but anyways, it’s red and you might have a chance of winning this pedal in the future so look out! I do hope that you liked this video and if you do – pretty please subscribe to my channel, to support me. More Sub’s open up the possibilities for more varied videos on Have Guitar! To each and every one already subscribing – Thank You, the support is very much appreciated! Win Tone Junkie’s Everything Pack! Author adminPosted on February 24, 2018 Categories UncategorizedTags demo, distortion, ESP Phoenix II, excited distortion, fender american standard stratocaster, fret nut, guitar effect, have guitar, HG-6, High gain, NUX, pedal, pedal frenzy, review, stomp box, testLeave a comment on HG-6 Distortion Pedal from NUX (stomp box demo) by Have Guitar! DynaVerb Guitar Edition from EBS (Effect Pedal Demo) – Pedal Frenzy! Finally got around to demo the EBS Dynaverb Red Label Guitar Edition. This is an effect pedal which offers 8 different reverberation types, which of course means it has a lot of variation inherent. And that’s it! I certainly hope you liked this video and as allways – please do subscribe to Have Guitar, to support my antics, striving to do fun & interesting guitar releated video here on Youtube. Every sub counts! And in humbleness to all of you who are subscribing already – Thanks! Recorded with a Sony FDR-AX100 and edited in Magix Movie Studio Platinum 14. This is the unboxing video of the EBS DynaVerb Red Label Guitar Edition reverb pedal. If you’re looking for a demo of this reverb pedal check out the link below as I’ve released both the unboxing and demo video at the same time for this stomp box. I hope you like the video – pretty please subscribe to Have Guitar for more demos, unboxing, tests & reviews of guitar releated stuff. You know, subscribers are vital for a Youtube channel and every single one counts… To all you fantastic people already subscribing, I can’t express in words how grateful I am for that. Thanks! Have Guitar presents Pedal Frenzy Special – Made in China! That’s right, just as a fun (?!) experiment I ordered two overdrive pedals from China and the first one is the Klon Centaur Horsie Professional Overdrive Guitar Pedal Gold. Pfew! That’s a long name! So, this is a clone of the original Clon Kentaur stomp box that was invented by Bill Finnegan in the 90’s and sold up until 2000. This pedal quickly became well known for its “transparent overdrive” and today the original pedal is quite expensive… as I don’t have access to the original pedal I can’t really say if the Ttone is as good, but well, I kinda doubt it. But still, you should have a listen to the sound examples in this video – you can get some cool tones out of it. And as it happends, I will get a praised and more recognized clone of the Klon Centaur and then I will of course bring out this Ttone again. That’s it! Hope you like the video and if so consider to subscribe to Have Guitar! Every sub counts and there more I get the more the channel grows and that expands the possibilities. And as always a Very Big Thanks to all of you already subscribing! !